What a cool idea! 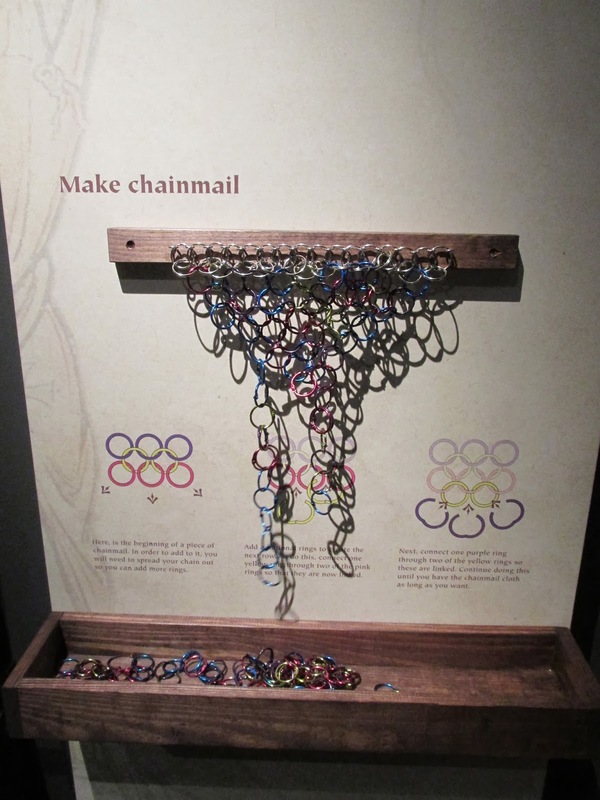 Get those metal rings from an office supply store and make a version of chainmail. One of the fun things about having children of different ages is that sometimes an activity with one child can enhance and improve upon something you're doing with another child. That's what happened this week, when I took "Wasabi" to Texas to look at colleges. We got to stop by the Houston Museum of Natural Science, where an exhibit on the Magna Carta had just opened! I got some great ideas for "hands on history" stuff to do with our 4th grader, who just learned about the Magna Carta last week in her Kolbe curriculum, and who is learning about medieval European history in her weekly co-op, too. First the exhibit showed a rather crude privy made of mud and sticks--a great way to grab the attention of children! It even looked like something a crafty homeschooling kid could make. Also, the discussion about all of the uses of urine in those days was truly disgusting and eye-opening. Then, even though it's behind glass, I had to take a photo of the crossbow, as "Chop" is into these right now. People hunt with these a lot where we live, but seeing an old one is kind of cool. Also titillating to those who like weapons, this lance display allowed us to try to lift the long, heavy pole with just one hand. It's REALLY hard to do! At home you could emulate this with a long heavy dowel. I have one of similar dimensions that I bought from a fabric store that went out of business. 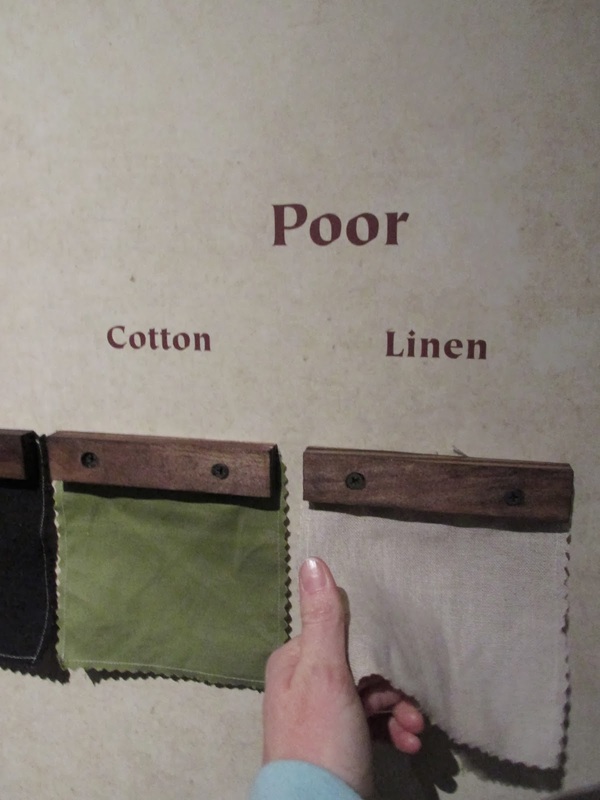 In general, museum displays can give you lots of good ideas for bringing a subject home. While I'm used to stealing ideas from science museums, it was a delight to find such Montessori-ish ideas for hands-on displays from a history exhibit! Click here and here for more background on the Magna Carta. Click here to learn about making fake helmets out of cardboard. Click here for a free printable pack for younger kids. For really crafty, independent older kids, click here and here to learn about making fake armor. Click here for a ginormous list of resources, including games from that time period. And last but not least, this would be a great time to bring in Robin Hood.